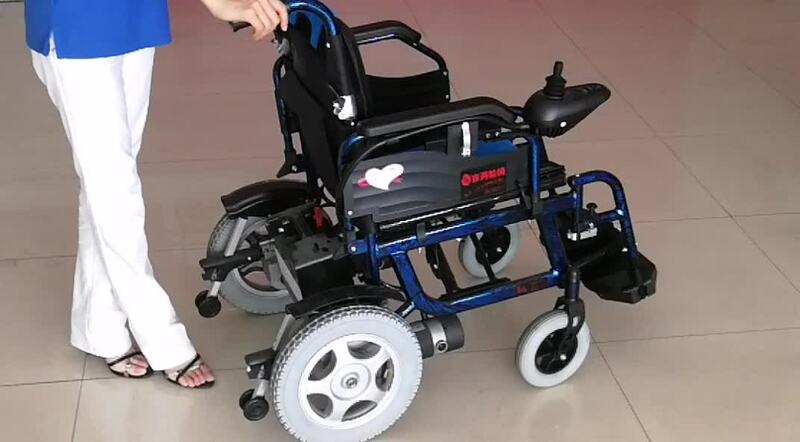 This series of power wheelchairs are powered by lead-acid battery, driven by DC motor (made in Taiwan). Users control direction and adjust speed by joystick controller. It is suitable for application of low speed, good road condition and small slope. 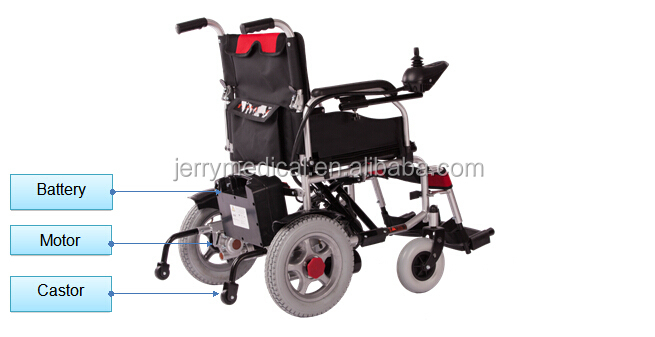 JRWD602 electric wheelchair is made from aluminum alloy frame, so it has light weight, easy to carry. 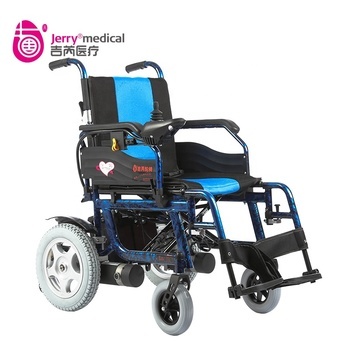 And it has electromagnetic braking function, when user release the joystick, the electric wheelchair slow down and the wheels self-locked immediately. It is very convenient and safe. Easy to operate and dismantle and assembling. 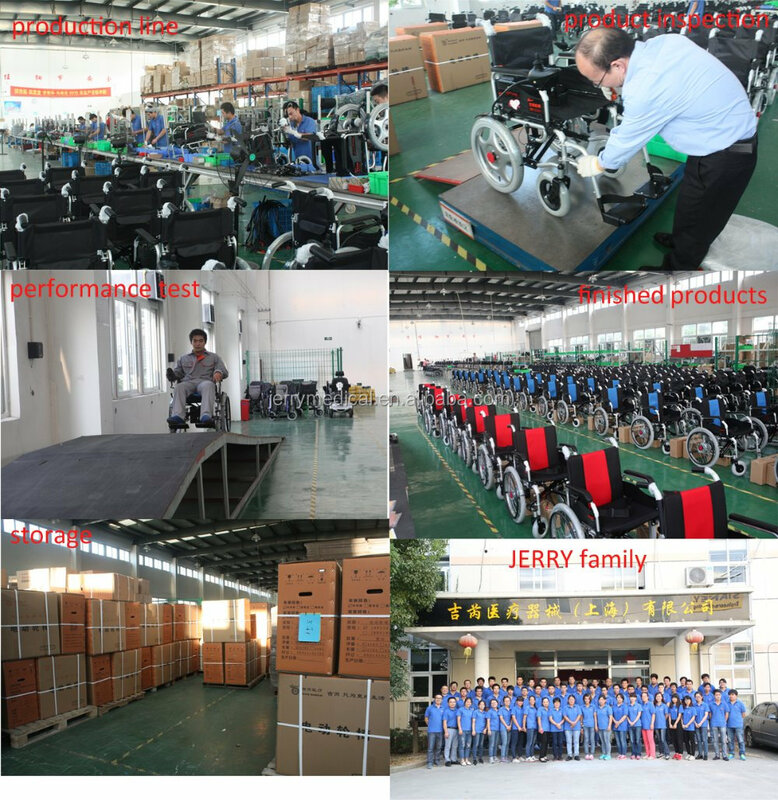 Jerry Medical Instrument (Shanghai) Co., Ltd is a professional hightech factory specialized in R&D, production and sales of electric wheelchair. Our company is equipped with professional team and scientific management system. And our company has become one of the most competitive national enterprises in the field of power wheelchair. As an ambitious company, our company sticks to the enterprise purpose of honesty, takes initiative to assume corporate social responsibility, and actively participates in charity causes. In contributing to the improvement of the quality of life among the people with disabilities and the elderly in China, our company has been progressively moving towards the objective of building domestic leading brands in the wheelchair and elderly scooter markets. Corporate Goal: To build a leading domestic and international firstclass hightech enterprises with "hightech, high cost performance" electric wheelchair. Corporate Philosophy: For a better life. 1. Why the net weight of your electric wheelchair is heavier than other? A: The thickness of our electric wheelchair steel pipe is 1.5mm, the pipe at the buttom even is 2.0mm. 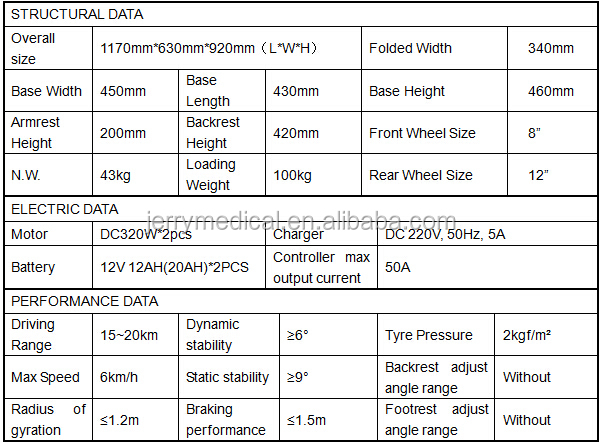 But general thickness is 1.2mm, So our electric wheelchair has heavier weight than others, as to make it safer and more stable. 2. Is your wheelchair for indoor use or outdoor use? Our wheelchair is designed for both indoor and outdoor use. 3. How do I stop the vehicle? What happens if I take my hands off? Our wheelchair will be stopped immediately when your hands move away from the control. 4. How often should I charge the batteries? The batteries should be charged at least once a month for 8-10 hours(no more than 24hours). 5. If I need more information about your products, where can i find it?